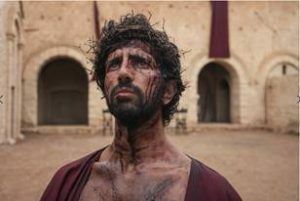 HISTORY® Channel To Premiere Eight-Part Event "Jesus: His Life"
The series reveals his journey through a complex world of kings, politicians, reformers and soldiers in a turbulent power struggle during a time of revolutionary change. “Jesus: His Life” brings viewers into this dramatic world to reveal the greatest story ever told. The series premieres two episodes back-to-back weekly beginning on Monday, March 25 at 8pm ET/PT, with the finale airing just before Easter. A+E Networks holds exclusive worldwide distribution rights for the series which is produced by Nutopia. This is an outstanding list of contemporary impressive supposed religious teachers, and academics who think that they are qualified to give insights about Jesus Christ in these income producing television productions. By virtue of the manner in which this article is presented to the people, these are men, and women who hope to be financially rewarded for their input, and contributions to these presentations. Some men have presented Jesus Christ as God himself, the son of God, and as a savior,philosopher, religious heretic, and as an outlaw. According to the King James Version of the Holy Bible, Jesus reacted violently to those who were earning a profit in the temple through ” changing money for a fee “, and selling sacrifices for a price ” to the general public .”This article is an advertisement explaining who the people are that are involved in selling their definitive information about Jesus Christ, many with assumed impunity garnered through their declared religious beliefs which may justify their actions before man, but what about justifying their actions before God ? According to the King James Version of the Holy Bible, God told Moses that his name is ” I Am .”I choose to give meaning to these words through the use of Classical Latin. ” I Am ” in Latin is the word ” Sum ” The word ” Sum ” linguistically is interpreted ” present indicative tense of the verb ” esse ” which means ” to be “, also meaning present tense forever .” This is an interesting way for God to give a name, but in my way of seeing things, altogether valid for God to speak in multidimensional space and time. and declares God’s being eternally existent in synchronization with the universe, and this world to be ( i.e. the verb to be, ” esse “,present indicative tense of the verb ” to be meaning ” forever “,”immutable “, and ” unchanging ” ) Mankind is part of God’s being, therefore is it possible for mankind to accurately define Jesus Christ who is declared by some to be God in person? The answer is ” NO. ” These presentations have more to do with profits,and proclamations before mankind, and very little to do with a better understanding of Jesus, or God.These are men and women still earning profits while sitting in and around the supposed temples of God.